A hidden jewel in the Apennines, Rocchetta Mattei sits on a picturesque hill between Florence and Bologna. Featuring a maze of linked rooms, passages, stairways, courtyards, and towers, the castle is a mix of styles and an architectural marvel like few others. One of the most significant rooms within the castle was inspired by Granada's Alhambra. Be sure to start at the website for all relevant information about visiting this attraction. 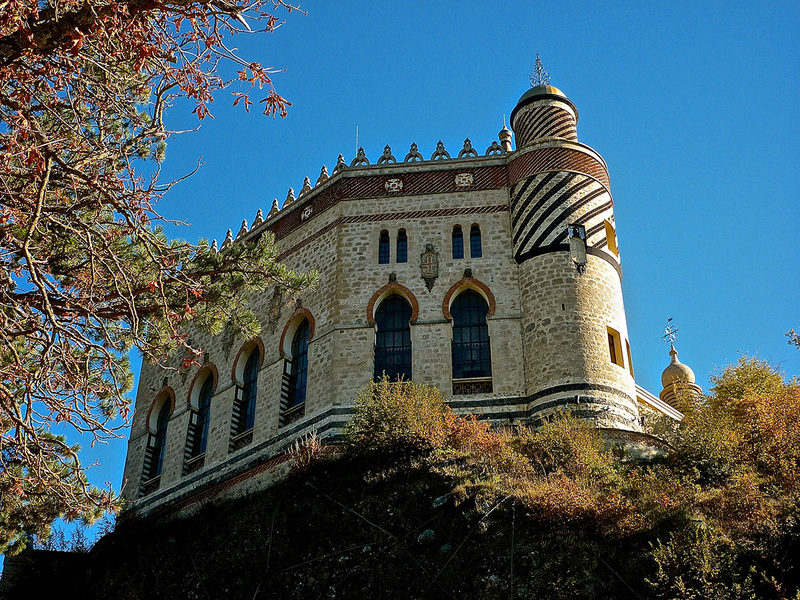 It couldn't be easier to arrange your visit to Rocchetta Mattei and many more Grizzana Morandi attractions: make an itinerary online using Inspirock's Grizzana Morandi trip planner . I did not know of the existence of this castle, found it quite by chance through Trip! We stopped, we booked the visit next time because it does to groups of 20 people (cost €10 per adult/child €5) and we did this tour with a passionate and very good guide that he explain the history and life of Mattei. All very interesting! 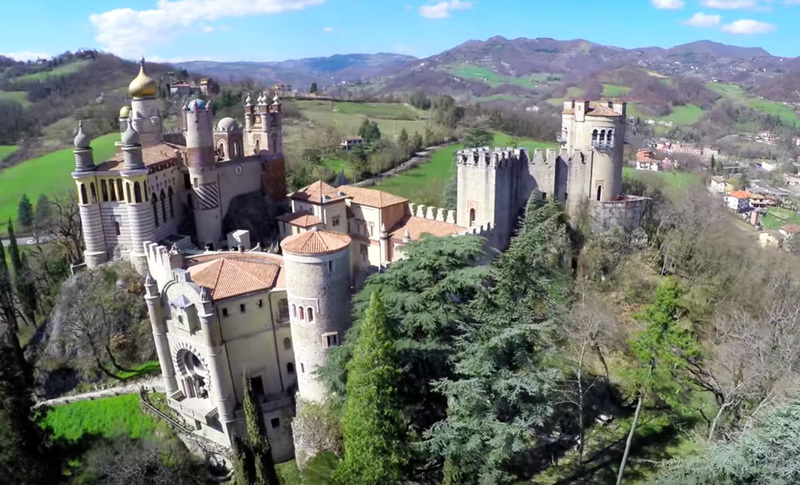 Nicely renovated fantasy castle, the story behind it merits a Hollywood movie. Highly recommended to all people passionate about patterns, architecture and esoteric healing techniques. Stunning location, I can understand you were half healed just by traveling to the place and seeing the castle from the distance. This castle is certainly an odd place. From Bologna it takes around 45 minutes to get there, and it's worth a visit only if you enter with a guide. Unfortunately, I'm not aware of any tour in English so far. A pity, because the story of the Conte Mattei is really interesting, so is the eccentricity of this building.Unique. Every day, we help thousands of travelers plan great vacations. Here are some tips on how to use your Listing Page to attract more travelers to your business - Rocchetta Mattei. Promote your permanent link - https://www.inspirock.com/italy/grizzana-morandi/rocchetta-mattei-a2324026115 - on your website, your blog, and social media. When a traveler builds a plan from this page, the itinerary automatically includes Rocchetta Mattei. 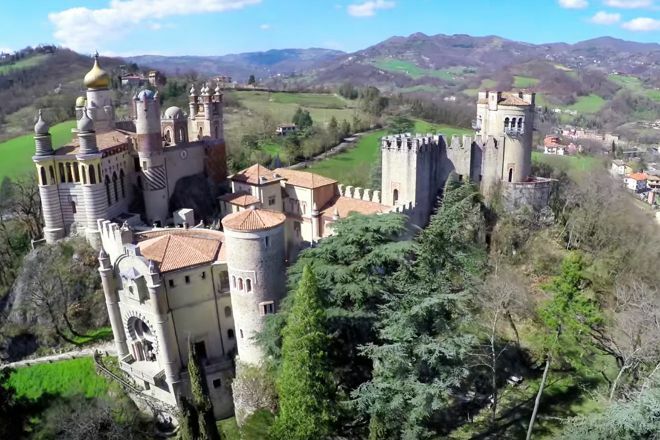 This is a great way for travelers looking for a great vacation in your city or country to also experience Rocchetta Mattei. Promoting your link also lets your audience know that you are featured on a rapidly growing travel site. In addition, the more this page is used, the more we will promote Rocchetta Mattei to other Inspirock users. 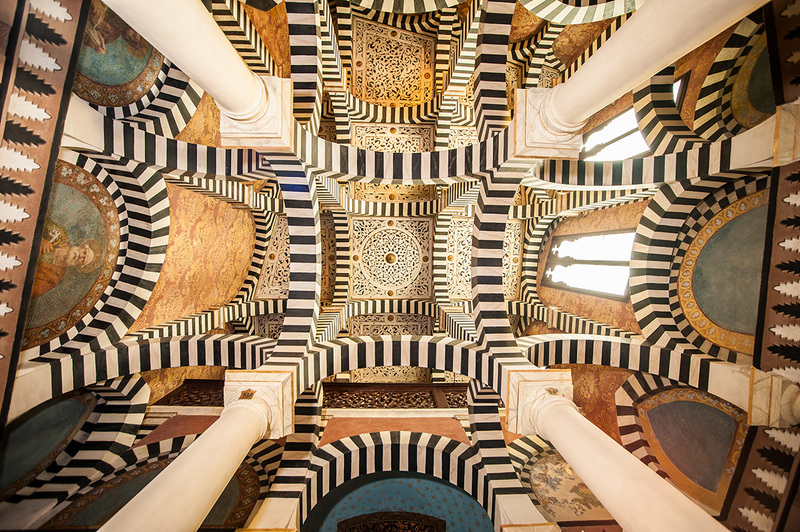 For best results, use the customized Trip Planning Widget for Rocchetta Mattei on your website. It has all the advantages mentioned above, plus users to your site can conveniently access it directly on your site. Visitors to your site will appreciate you offering them help with planning their vacation. Setting this up takes just a few minutes - Click here for instructions.